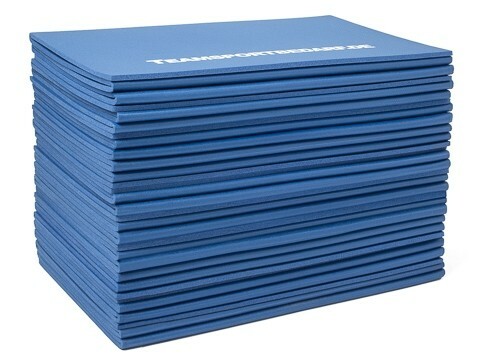 You get a set of 10 foldable gym mats (blue), which is suitable for indoor and outdoor use. 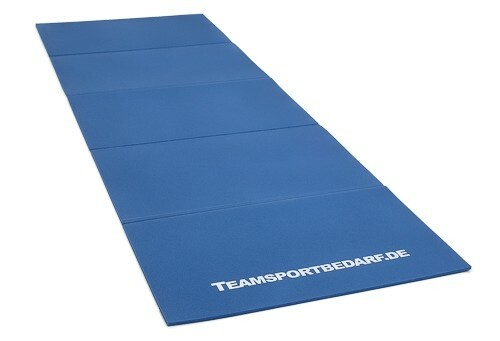 The mats are 190 cm long, 60 cm wide and 0.8 cm thick. They consist of non-slip and abrasion-resistant PE-material that is also water-repellent. 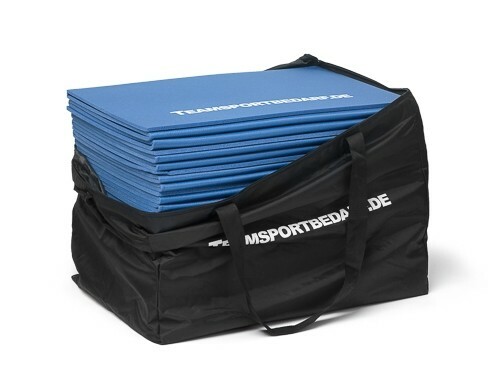 In addition, the skin-friendly gym mats can be folded and thus save space when stored. 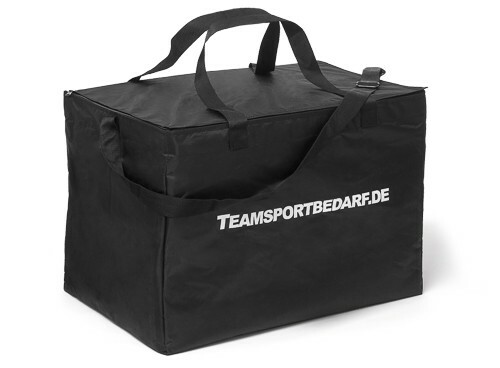 Simply select the desired quantity above and we will deliver the matching carrying bag for this set directly (additional EUR7.90). 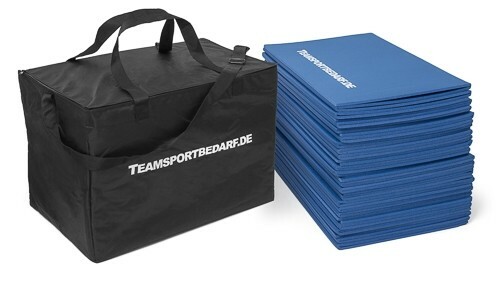 Separate gymnastic mats and carrying bags can also be purchased in our shop. 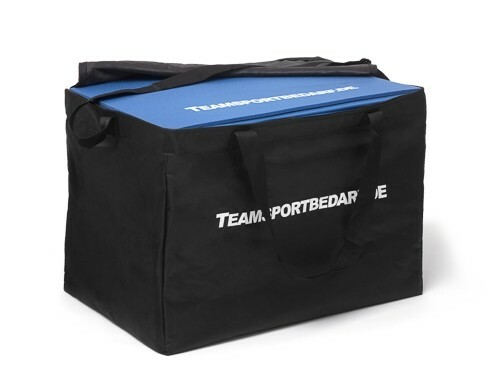 Professional clubs also buy from us! 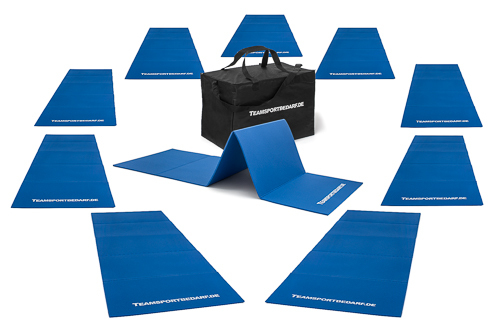 Product features: Set of 10 Gym mats for outdoor use - foldable. Dimensions: 190 cm long x 60 cm wide x 0.8 cm thick, Color: Blue, Material: High quality PE material. 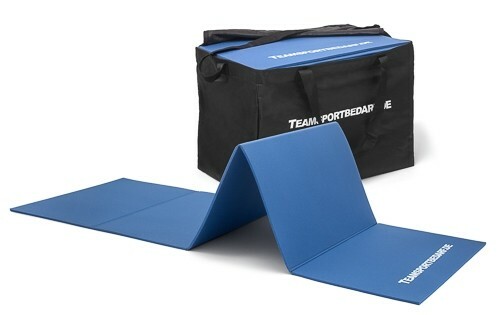 Foldable in 4 quadrants (to save space); slip and wear-resistant, skin-friendly. Water resistant with closed cells. Suitable for both indoor and outdoor use. Professional grade. You receive a detailed invoice with every purchase! Good luck with your training!